Looking for golf accommodation near any one of the over 550 golf courses in Scotland? We have a range of holiday cottages, homes, B&Bs and Hotels all within the best golfing regions in Scotland. 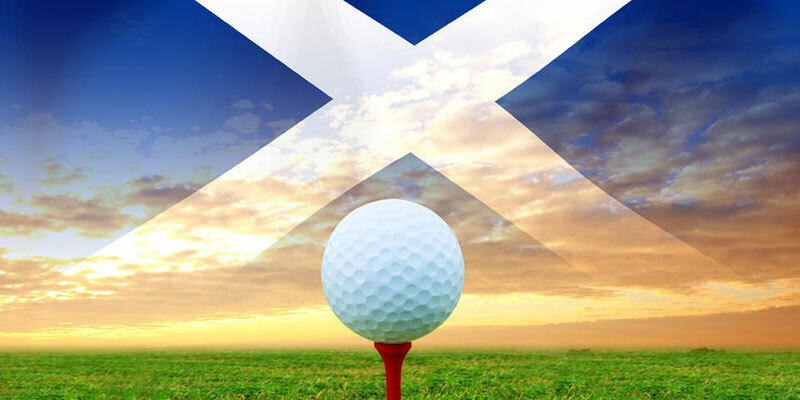 Golf Holidays in Scotland, the Home of Golf! The outstanding Gleneagles Hotel in Perthshire, Scotland, hosted the 2014 Ryder Cup last year. But both before and after this, Scotland has been one of the premiere golfing destinations in the world. From Gleneagles to St. Andrews, the scope of world-renowned golf territory in this lush country boggles the mind. The single best place to golf in scotland is the Gleneagles complex; however staying at this 5 star luxury resort will cost you. Why not stay in a rural holiday cottage or contemporary luxury holiday home near the surrounding area of Perthshire? Accommodation further a field than Perthshire is available, all over the country: from Dumfries to Dundee and everything in between.